Last May, while staying in Ballarat for the weekend, we decided to have a look around a few houses that were open for inspection. No intention of moving house right then and there but just to have a look. Well… to our surprise we fell in love with a house, put an offer in and were home owners 5 days later! 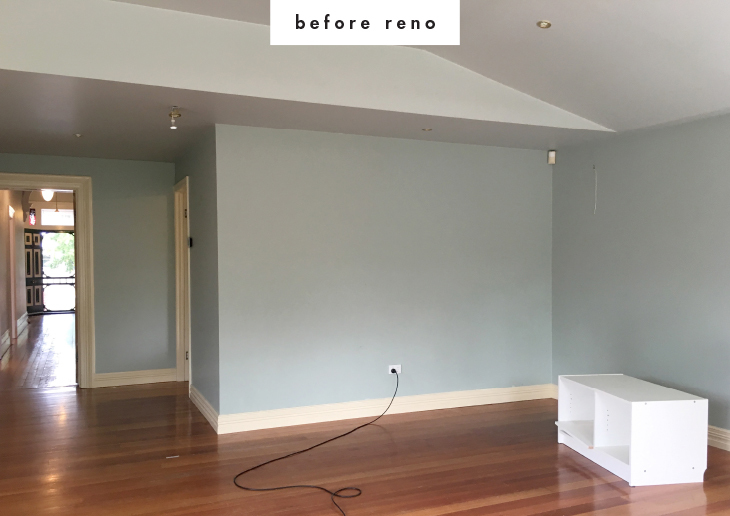 Since then we have moved from Melbourne to Ballarat, organised a wedding, got married and renovated… it has been a busy year! 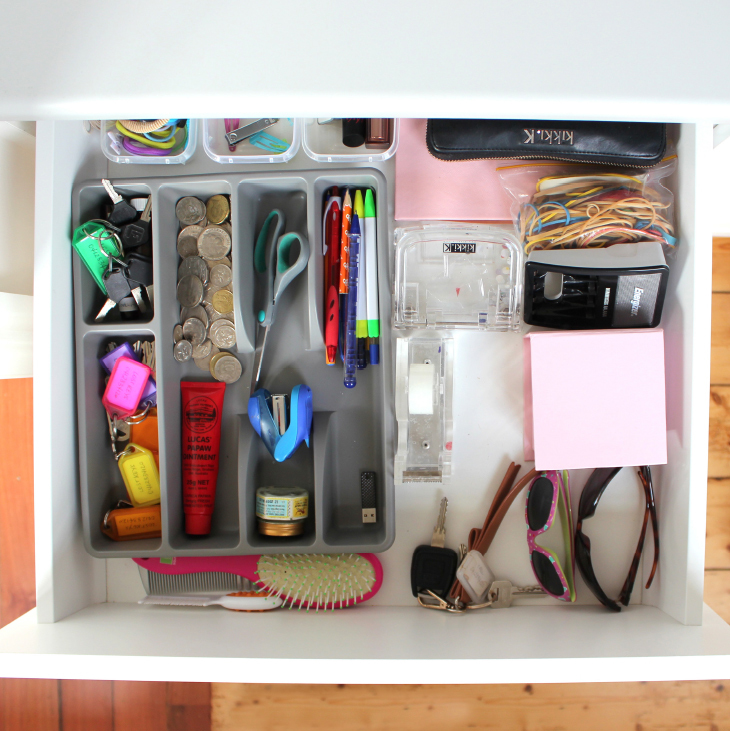 Now we have finally settled in l thought l would show you around and share some of my organising tips. 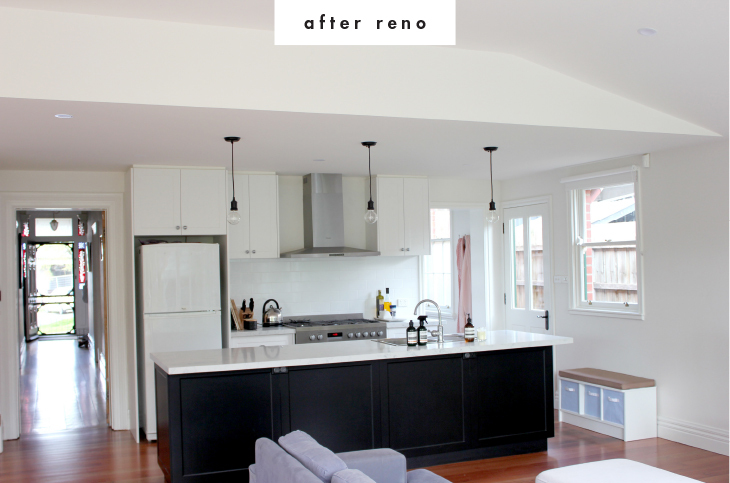 First up is the butlers pantry, including before and after reno shots. One of the biggest reasons to renovate was to move the kitchen to the back living area. So we could enjoy the north facing sun as well as the view out to the backyard. To achieve this we knocked out the laundry walls and replaced the laundry with the kitchen. Also knocking in a door to access a butlers pantry. It is now a really enjoyable, practical space. 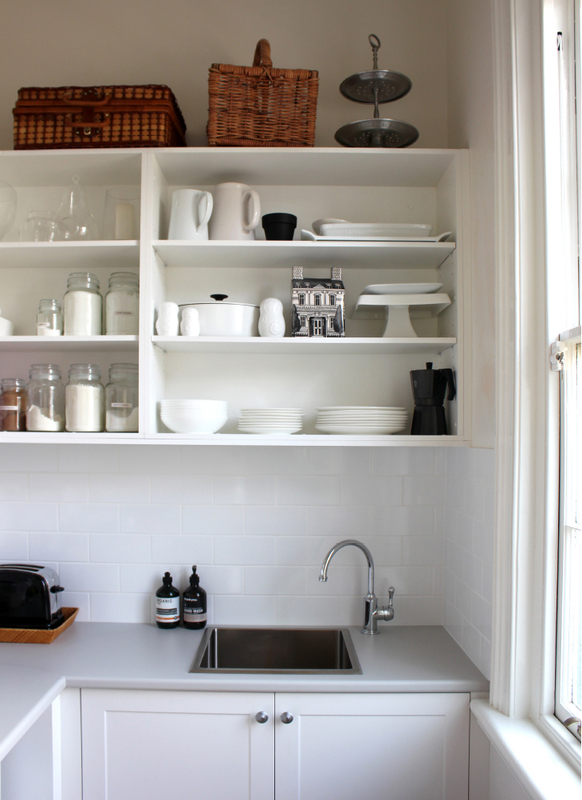 The butlers pantry is a great space for the food supplies as well as items l don’t use everyday. Keeping the kitchen for the regularly use items. I decided no door on the butlers pantry which was a little scary as you could see straight in from the kitchen/living room! To make this work l stored all of the classic black and white pieces here. Keeping the look simple, organised and aesthetically pleasing! Then l stored all of the less attractive stuff to the other shelves. You will see above some glass storage jars. I have reused empty glass coffee jars here. Not only better for the environment but a money saver! TIP: I always store items near where l will use them, e.g. toast spreads near the toaster. Just a little thing to make life easier. Above you will see the opposite wall of shelves, where l stored the less attractive items! TIP: I always store ‘like’ items together, e.g. tinned food together, biscuits together, etc. 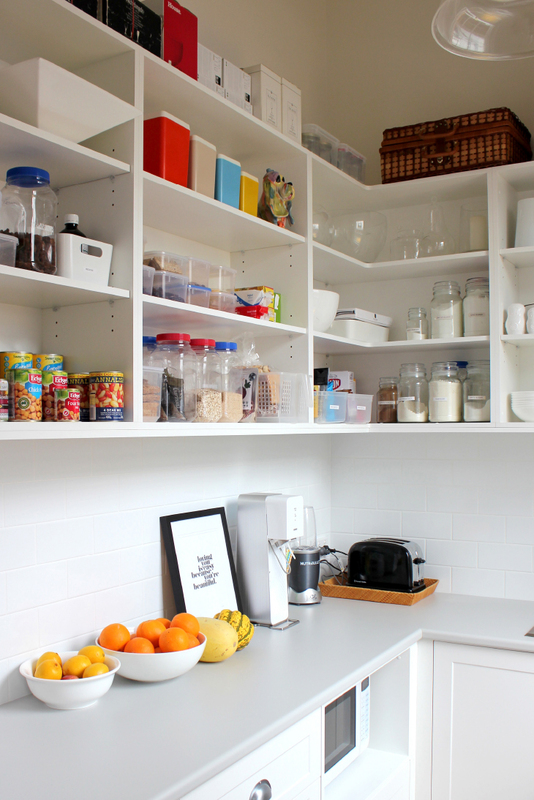 As well as storing the regularly used items within reach, for example, the breakfast cereals and bread are front and centre. I love a clear bench but this is not always possible! I wanted this space to be a practical, working space, so l keep the everyday appliances on the bench top. 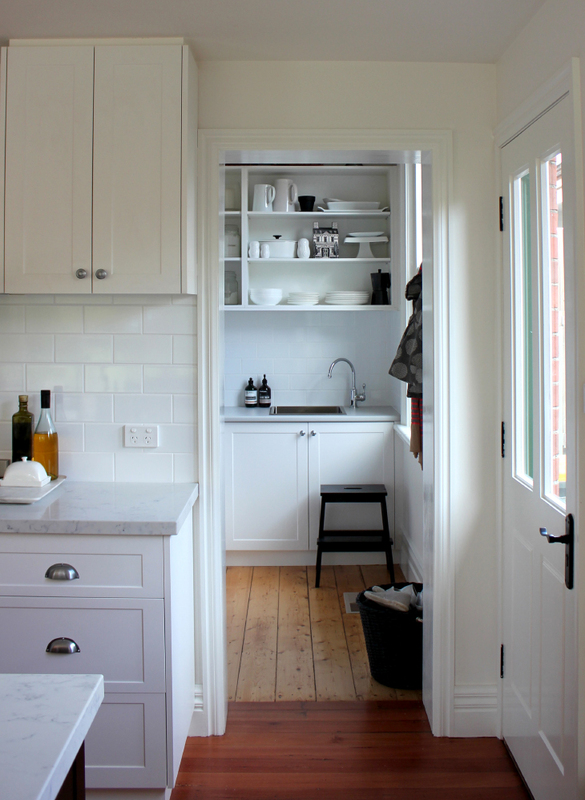 When l designed the pantry l put the microwave under the bench, maximising the bench space. I always keep a spare supply of regularly used items behind the one is use. That way l’m never caught out! When l open the new container l add the item to my shopping list. You will also see, l love label! I label everything that needs it! Store smaller ‘like’ items together in a storage container. This definitely makes life easier, pulling down the container when you need it. 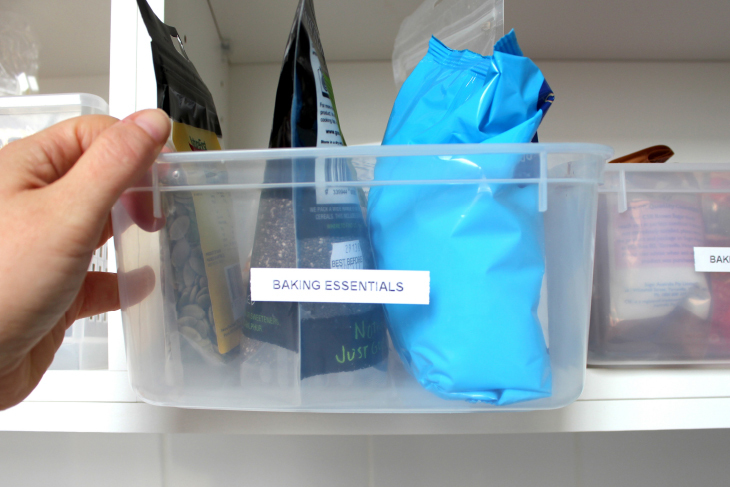 I’m using a range of different storage containers in my pantry, simply because l already had some. I do like matching ones but sometimes it’s about $ and what’s practical. I picked these ones up from our local ‘cheap’ shop, The Reject Shop. 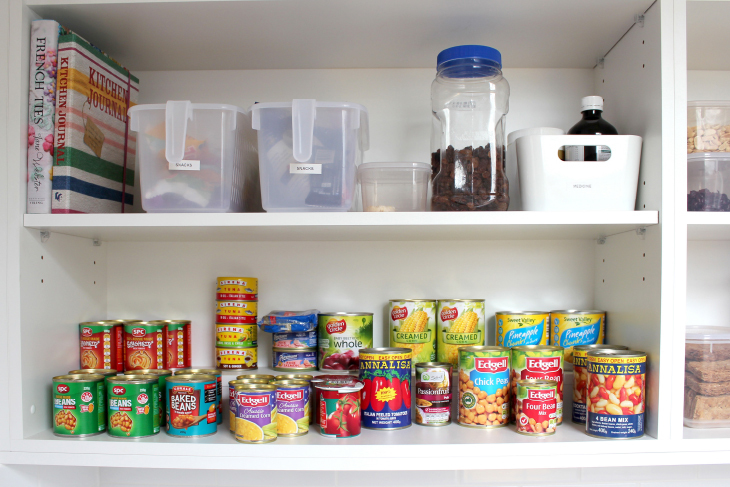 Stacking tinned food where possible is a great space saver! TIP: I store the ‘not so healthy’ snack food up high away from little people! Everyday items are always stored within reach, heavy items down low and items l don’t use often up high. I have my extra supply of glasses, etc. in boxes up high. These only come out when we have parties. 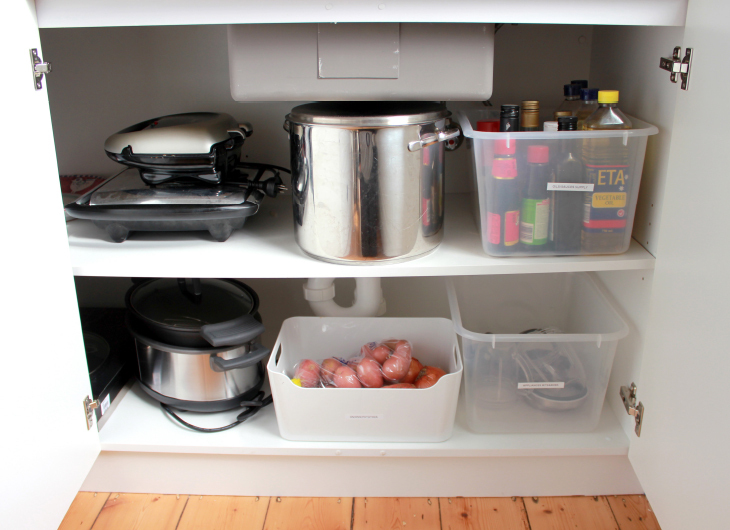 I store the heavier items like big pots and appliances down low, so l don’t have to lift down from shelves. 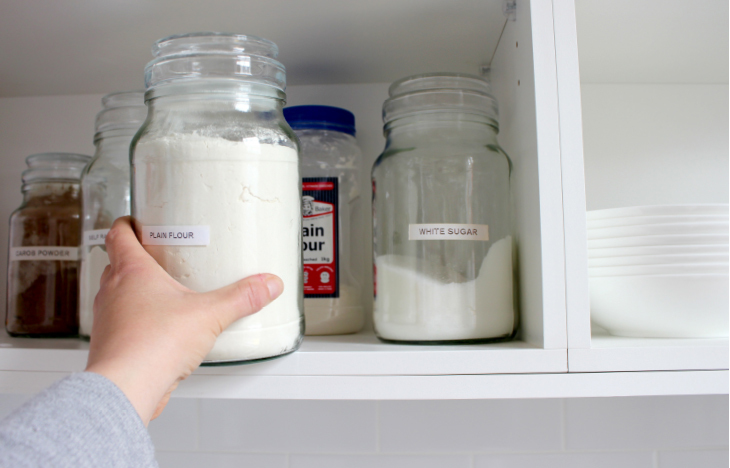 Smaller items are stored together in larger storage containers for easy access. 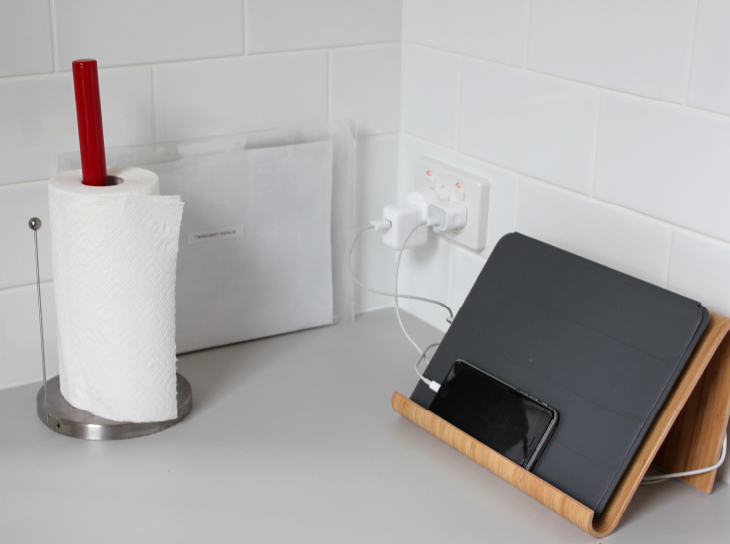 A must-have for me in the butlers pantry is a charging area for electronics, e.g. mobile phones, etc. I like to plug mine in when l get home. That way they’re safe, always charged and l’m not checking it every 5 minutes for no reason! 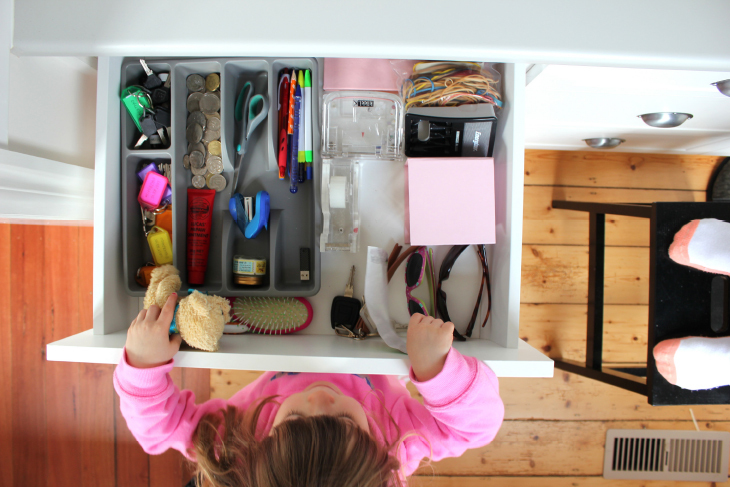 Here you will see my daughter Jessie, trying to see into ‘Mum’s drawer’. “What are you taking a photo of Mum?” I call it my essentials drawer. It’s where l store all the items l need at a moments notice. Items like car keys, spare keys, coins, purse, pens, note paper, diary, scissors, sticky tape, hole punch, hair brush, ties and clips, lip gloss, rubber bands, sun glasses, etc! I love it! + A stool to grab those hard to reach items! These step stools are great from Ikea. + A labeller to print out stick on labels. My fav is the I use a Dymo LetraTag Labeller from Officeworks. + iPad stand from Ikea. + Ikea sealing clips for keeping open food bags closed and food fresh. + Ikea snap lock bags for keeping food fresh or to store snacks, etc. + Attractive hand wash and detergent for my bench top! Love product by Thankyou and Organic Choice.